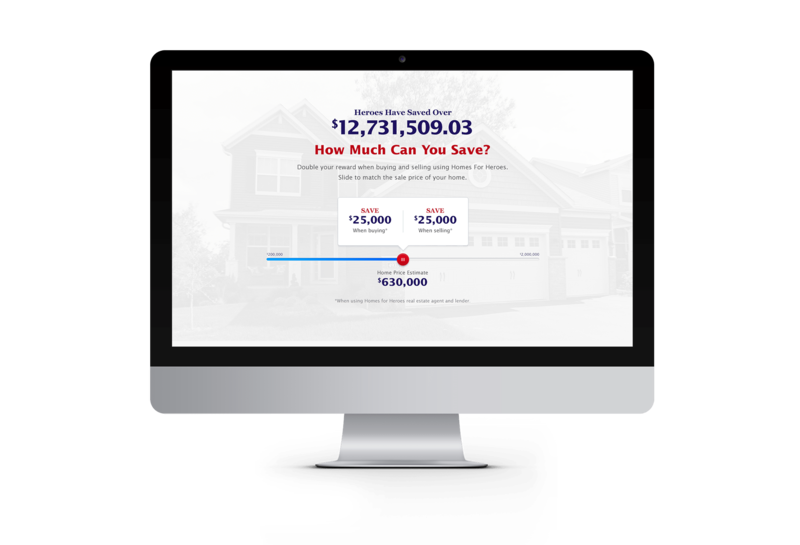 We built a digital platform for Homes for Heroes® that helps more community heroes buy, sell, and finance homes affordably. Homes for Heroes connects those who serve their communities and nation — firefighters/EMS, law enforcement, military (active and veterans), healthcare professionals, and teachers — with resources to bring them exceptional savings when buying, selling, or refinancing a home. Since its inception in 2002, the program has saved participants over $32 million. But while affecting change locally and nationally, the weaknesses of its existing digital platform became more obvious as the company’s network of users expanded. Basic patching and maintenance efforts carried out internally were eventually no longer adequate for maintaining the solution’s stability, scalability, and overall functionality. MentorMate collaborated with Homes for Heroes in the design and build of a custom web application. The solution offers a platform that advances the company’s ability to help more people save money as they buy and sell homes. Integrating content management, customer management, workflows, and the integration of a new payment system, the application increases engagement and improves the buying and lending experience for Homes for Heroes’ real estate agents, loan officers, home buyers and sellers. 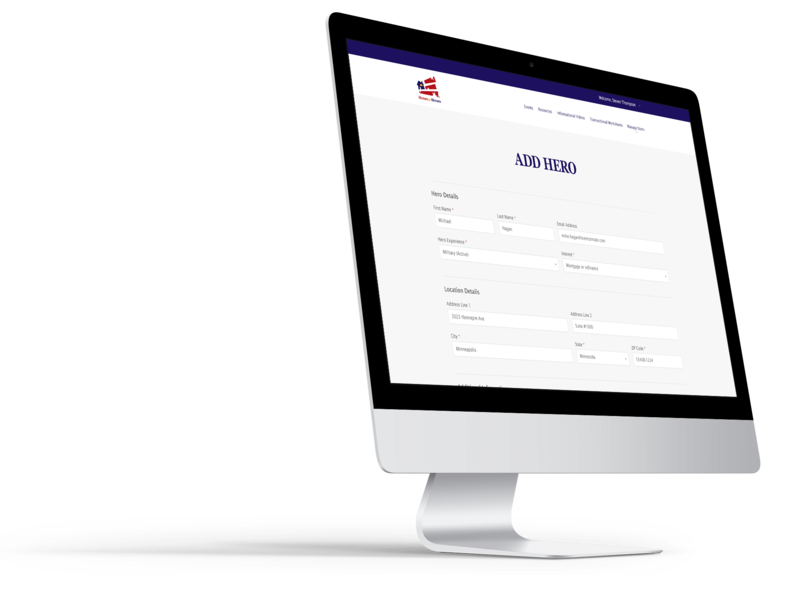 At the project’s outset, leaders at Homes for Heroes knew they wanted to find a better payment system to replace its Authorize .NET solution. Through several discovery sessions, stakeholders understood that a new payment system would not integrate with the outdated web application. Building a new content management system to host the new Stripe payment software would offer a solution that more effectively supports the complex user roles that access the company’s services daily. MentorMate’s teams worked closely with Homes for Heroes to design a CMS that offers precise capabilities for the company’s distinct user groups: internal administrators, the heroes themselves, as well as the third party real estate agents and loan officers. The transition to and final implementation of the new solution was planned so that end users never encountered any service disruption. Additionally, customer information was migrated and scheduled payments remained uninterrupted. With Homes for Heroes’ previous solution showing signs of its age, there was a consensus that significant business advancement or technological innovation were hampered so long as it remained in use. The more the company would grow, the less functional its software would become. But thanks to the implementation of the new solution, high uptime and streamlined payment processing have delivered immediate value to end users. Instantaneous payment processing means heroes are connected with a real estate agent or loan officer faster, and company administrators are able to track workflows and customer data more precisely. Furthermore, busy real estate agents can access a high-functioning and effective tool meant to provide value in a fast-paced business environment.